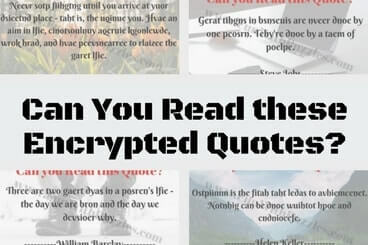 Can you read encrypted text? Research shows that our mind is training to read the text even without fully looking at the letters. If we scramble letters of a word with keeping first and last letter or the word same, our mind can read it without much effort. At the beginning it may look odd or difficult. However once you start reading, our mind will start comprehending the encrypted text. Once you start you don't even have to make efforts to read it. Here are some Great Quotes by known personalities. 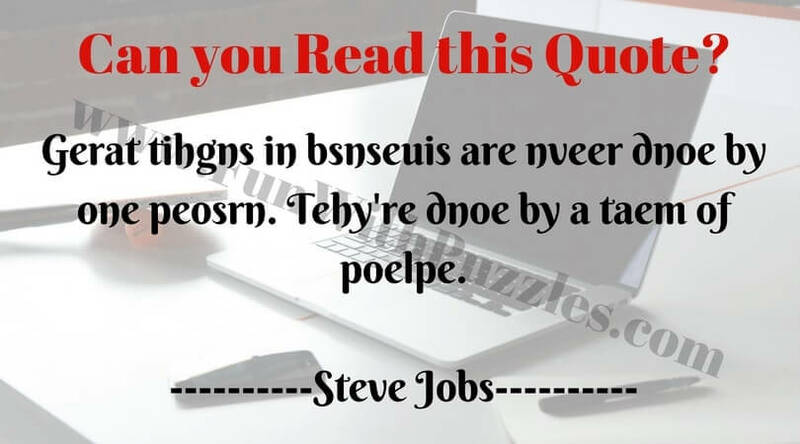 These quotes has been encrypted with its inner letters getting scrambled while keeping 1st and last letter intact. 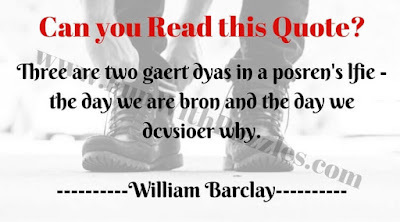 Can you read these quotes. 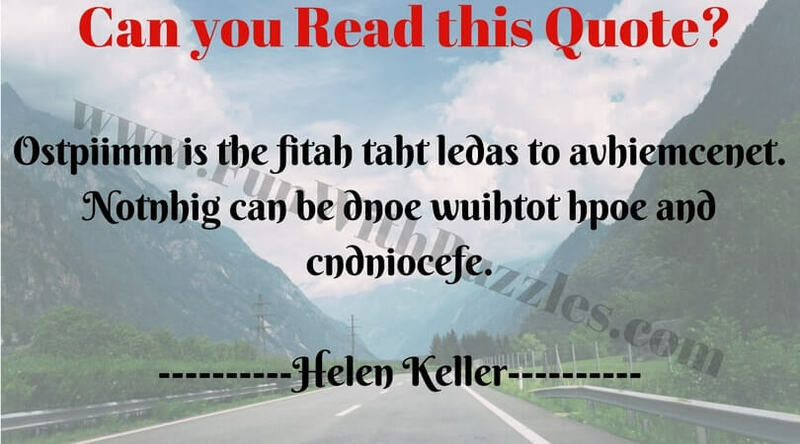 Lets see how many of these Quotes can you read? 1. 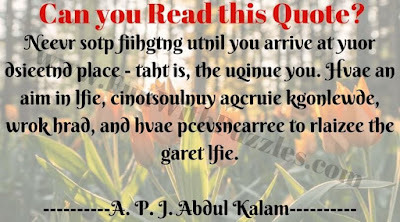 Can you Read this Quote by Dr. APJ Abdul Kalam? 2. 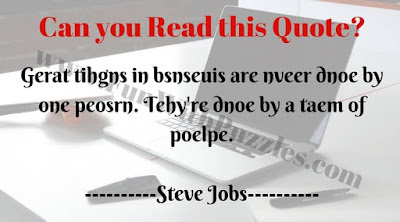 Can you Read this Quote by Steve Jobs? 3. Can you Read this encrypted Quote by Helen Keller? 4. 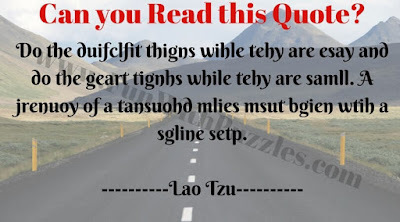 Can you Read this encrypted Quote by Lao Tzu? 5. 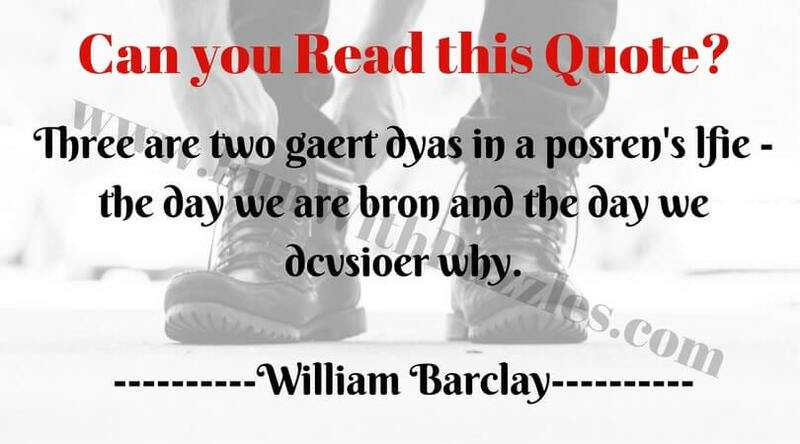 Can you Read this Encrypted Quote by William Barclay? Do checkout more Visual Puzzles as mentioned below which will not only test your observation skills but also your eye sight. 1. Fun Brain Test to prove that your brain is lazy? : Very interesting fun brain test which will prove that our brain is lazy while reading something :). 2. Picture Puzzles for Teens With Answers: Explore different types of Picture Puzzles which you can solve on this website. 3. 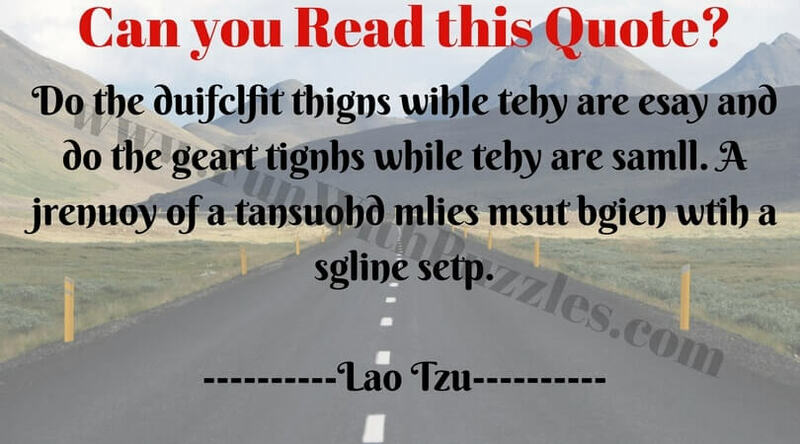 If You Can Read This, You Have A Strong Mind: This is another reading challenge. 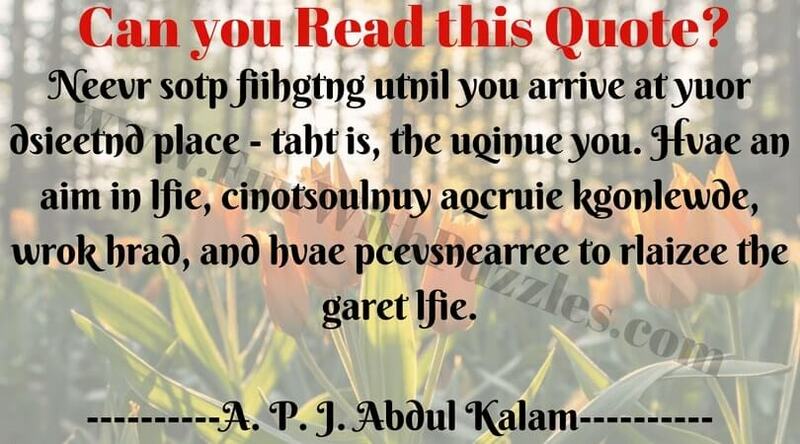 If you can read all the quotes here in your first attempt then it will prove that our have a strong mind. 4. Mind Twister Stereogram Picture: This is the Stereogram picture which contains hidden 3 dimensional picture in it. Can you see this hidden picture?